There's a blog for everything these days, so why not nachos? That was pretty much what Lee Frank was thinking when he started nachosny.com, a site dedicated to nacho munching in the Big Apple. "I had sort of been into blogging a little bit before in the last two years, and I noticed all these different food websites and also I had been told there is no good Mexican food in New York, so I decided to go out and find best nachos," Frank said. "It's the sort of food that people don't take very seriously." Frank, 25, who is originally from Philly, says he came to his position as nacho connoisseur with an objective view because "I don't have some family recipe that I think is the best." "My mom used to make the microwave-style things and I've grown out of that and now my tastes have gotten pretty sophisticated." The site is mostly a labor of love, as Frank, his roommate Rachel, and about five others with regular day jobs work at it on the free time, and of course, take any opportunity to go try a new nacho joint. He's only recently realized how powerful a food review can be. "We have our favorite place, and we just went back there for the second time since we wrote about it and they told us a a bunch of people had come in because of our review," he said. "[And] because of us writing about it we found out that had off-menu nachos we never would have known about." For the record, their favorite nachos spot is El Maguey Y La Tuna, on East Houston and Attorney Streets downtown. And Frank doesn't just like some naked nachos with some watery salsa, he goes for the whole enchilada, if you'll pardon the expression. "My idea of the perfect nachos, I'm really into chorizo, so I like a white corn chip, some good melted cheese -- not cheese sauce, we don’t do cheese sauce -- pico de gallo, jalapeño, some sour cream and guacamole," he said. "I like the whole shebang." So far the site has yet to venture much into Queens or the Bronx, but Frank has been properly chastised and promises to check out more of the outer boroughs. 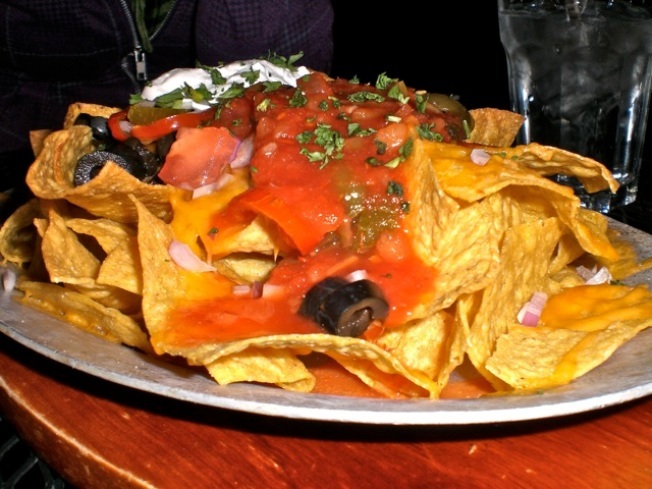 The Nacho NY folks are hosting a party at Fontana's on October 21,to celebrate the International Day of the Nacho (wiki), celebrating the "Nacho-Versary" with live music, drinks and, of course, nachos.